Gates open at 6:00pm. First pitch at 7:00pm. 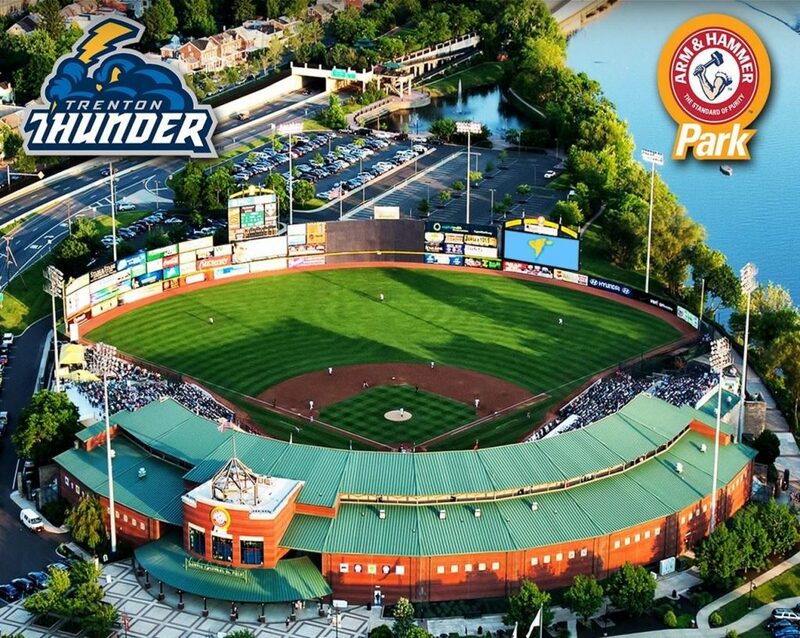 Join us for the 3rd Annual Trenton Thunder Baseball Event – a fun and casual networking event hosted by the LSRPA, NJSWEP, AHMP, and AEG. Experienced and aspiring professionals from our organizations are welcome! Come watch the game from the Yankee Club Suite! The Yankee Club Suite offers a view with a breeze, regardless of the weather (i.e. climate controlled and overlooking home plate). Food and first drink are on us! On game day, your ticket(s) will be made available for pickup at the Will Call Windows (Ticket Windows No. 6 and 7, located in the front of the ballpark). An ID is required when picking up tickets. All general parking at the Park is $5. Parking lots are located in front of the ballpark, in the parking garage near Rho Restaurant and across Rt. 29. Questions? Please contact Nicole Sullivan, NJSWEP Programs Chair, at nsullivan@csglaw.com or (973) 530-2059 or Caryn Barnes, LSRPA External Affairs, at cbarnes@langan.com or (215) 845-8911. Interested in sponsoring this event? Please contact Sue Boyle, LSRPA Executive Director, at sboyle@geiconsultants.com or (856) 291-5650.